Mahatma Gandhi visited Darjeeling only once in June 1926. However, he is said to have completed most of the 80 km of journey from Siliguri to Darjeeling on foot. At times he did use a rickshaw and a bullock cart but according to Deshbandhu Chitranjan Das, the scenery so enthralled him that he (Mahatma Gandhi) declared that "the best way to travel through such a beautiful land was on foot." 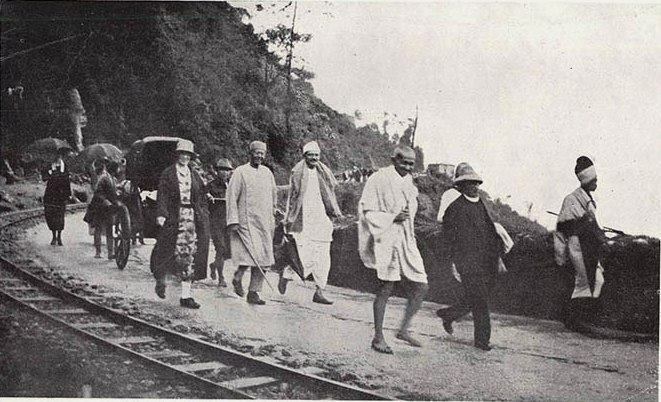 Mahatma Gandhi was accompanied by Chitranjan Das and Anne Besant on his journey.